Isaac Perry is a Writer and Lead Creative at Paradox Media; Author of the novel ALL FALLS DOWN. Isaac has profiled music artists for magazines such as XXL, VIBE, DIME, AND THE MUSIC EXPERIENCE MAGAZINE. Isaac has hosted three Episodes. In this era of music streaming, corporate interests, and brand dominance, we take an uncomfortable look at the role of music journalism in the digital age. Guest-Snob and Vibe Magazine Editor-in-Chief, Datwon Thomas, joins us to ask some important questions. Is genuine music criticism still alive? 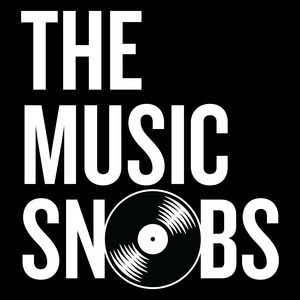 Welcome to Season 1, Episode 1 of The Music Snob’s new format! To kick things off we’ve centered this episode around one of today’s most innovative and promising artists: Anderson .Paak. Join us as the Snobs discuss .Paak’s unique brand of music and his atypical rise to stardom. Then get ready for this season’s first roundtable: What great song by one artist would fit perfectly into another artist's catalogue?